Korte, A.J.A.C.M. . Signs from Heaven: Figuring the Sacred in Contemporary Miracle Stories. In: A. Berlis, A.J.A.C.M. 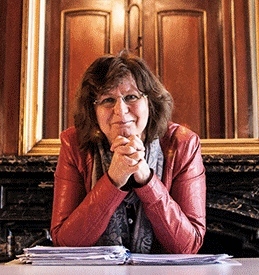 Korte & K. Biezeveld (Eds. ), Everyday Life and the Sacred: Re/configuring Gender Studies in Religion (Studies in Theology and Religion) Leiden: Brill. 12 pp. Korte, A.J.A.C.M. . Signs from Heaven: Figuring the Sacred in Contemporary Miracle Stories. In: A. Berlis, A.J.A.C.M. Korte & K. Biezeveld (Eds. ), Everyday Life and the Sacred: Re/configuring Gender Studies in Religion (Studies in Theology and Religion) Leiden: Brill. 23 pp. Korte, A.J.A.C.M. & Berlis, A.K.H. (2012). Alledaags en buitengewoon: spiritualiteit in vrouwendomeinen. Vught, NL: Skandalon. Korte, A.J.A.C.M. (Ed.). (2003). Women and miracle stories: A multidisciplinary exploration. Leiden, NL: Brill.